My 2018 New Year’s Resolution was to finish my book “Awesome Beliefs’ and get it published and up for sale on Amazon. I did it…at 11pm on the 31st of December. While most people were celebrating the coming of the New Year I was working on the intricacies of Print on Demand and Kindle Direct Publishing. In fact I would have missed the midnight toll if my son and his partner hadn’t called me! I’ve actually never considered myself a procrastinator but, by its simplest definition – putting things off until the last moment, I suppose I am. 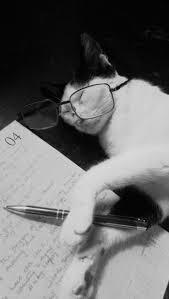 If I have a deadline I invariably hit it, but I’m often burning the midnight oil to achieve it. The problem is that procrastinators have a poor image. It is generally imagined that we waste time surfing the net or doing some unnecessary task – anything to put off doing what we are supposed to be doing. But I don’t see it like that, and it turns out that I might be right! who tend to prioritise tasks, feel motivated by an approaching deadline and tend to hit those deadlines and, importantly, are confident in their ability to achieve them. Interestingly it seems that Active Procrastinators are more flexible than either the Non-Procrastinators or the Passive Procrastinators – able to switch tasks if something more important comes up. Then there are the Precrastinators – people who like to get things done as early as possible so they are out of the way. I’m in the middle of a part-time degree in Psychology and in one of my modules there was a lovely lady who always had her assignments finished and submitted early – a sure sign of a Precrastinator. She was an elderly lady who was studying modules that interested her, with no specific intention in mind. The problem was that, at the tutorials held a couple of weeks before the assignment was due, we would discuss the assignment and there was always some thought or idea that came up that I might have missed if, like her, I had already written it. Actually, I would often rewrite it, honing it, until the last moment, and, if I thought it was done on the Monday, by Thursday it may have been scrapped or, at least, changed beyond recognition. I don’t know how well she was doing with her marks but I can say that mine have averaged in the low 80%s with my top marks being 96% so I think my method works for me! This is rather consistent with Anna Abramowski (The Psychologist, 2014) who suggests that procrastinators are competitive whereas non-procrastinators tend to be doing the task out of pure interest – I’m clearly competitive! It is also a sign that Precrastination may have deleterious consequences; apart from new information becoming available research suggests that our first ideas are generally our most uncreative. If you’ve ever done one of those training exercises where you have to come up with as many different ways to use a paper clip as possible, you’ll maybe know what I mean! Taking responsibility for your own Beliefs can be profoundly liberating, improving your Self-Esteem, Relationships, Career, Wealth and Health. 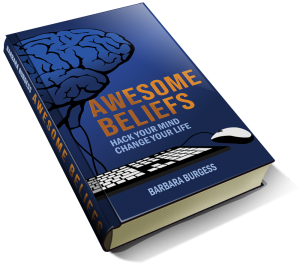 Awesome Beliefs: Hack Your Mind, Change Your Life is available on Amazon Kindle. The Print version is available on Lulu and will be available on Amazon soon.